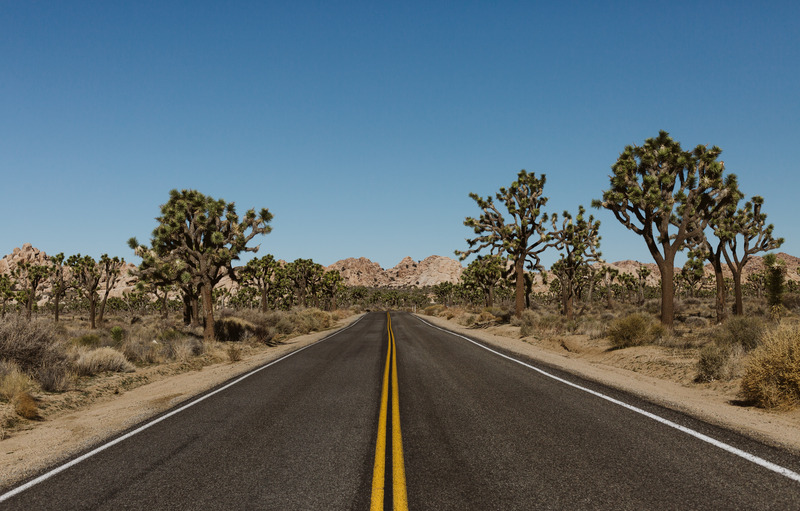 While we were staying in Palm Springs, we knew we wanted to spend a day at Joshua Tree. An hour drive and a couple of outfit changes later (we forgot to look at the weather and needed to layer the heck up to brave the thirty-seven degree desert, whoops!) we made it. We drove through the entire park and popped out at different stops along the way before looping back to Palm Springs. We loved it – those desert colors serving up some inspiration. Since we were there during the government shutdown, we knew that the park was running solely on the efforts of volunteers who kept the park in shape. If you’re interested in donating, the Friends of Joshua Tree makes it super simple. Can’t wait to head back again some day for warmer weather, sunrises, sunsets, and some star shots above the mountains.